Strange as it might seem, I’ve never put in a good solid single band entry into the CQ WW SSB contest. If you look at the recent addition to this site, my contest results page then you can see that I came third (out of three) in 2013 for my 15m entry, first (out of one) in 2012 for my 40m entry and second (out of three) for an all bands entry in 2011. With conditions the way they are at this point in the solar cycle, I went into the contest this weekend with an open mind. I wasn’t sure what I was going to do, whether to concentrate on a single band or go for an all band entry. I started off on Saturday morning having a quick tune around 40m and working one or two stations before switching to 15m for half an hour or so. My tactic all weekend has been simple, tune the band from one end to the other and work everything I can manage. 15m started off quietly so I switched over to 20m and did the same thing. 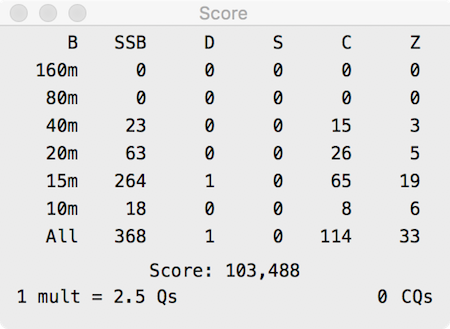 When I’d done on 20m, I moved back to 15m and really, didn’t move very much from there until the end of the contest apart from half an hour on 10m and a handful more QSOs on 40m. Normally in contests, I’ll find a frequency and call CQ but I had already decided that I was going to operate entirely by search and pounce this year. 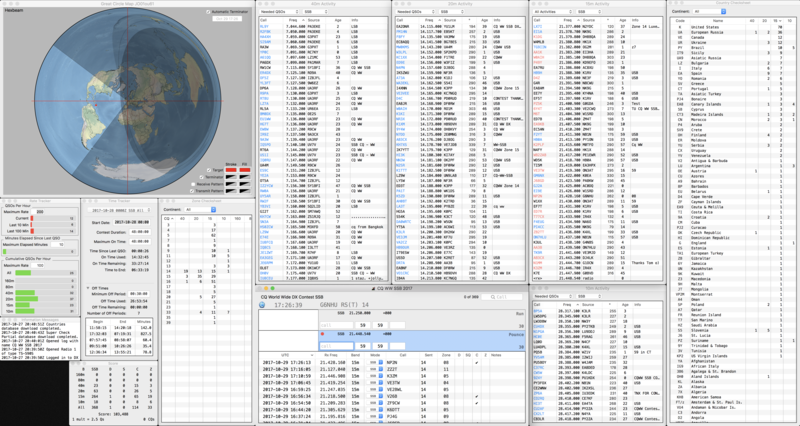 I’d spent some time ahead of the contest sorting out my logging and had got SkookumLogger set up exactly as I wanted. Once it’s set up and working, it’s really good and although it looks complicated with all the windows on screen, it’s actually very straightforward to use. Here’s a screenshot of it taken shortly after I finished operating. This small image really doesn’t do it justice – Click it for a full size version. You can see I have all the important info, a map (showing my current beam heading), live scores, live rate tracking, a checklist of zones and countries and everything that you’d need to know while working a contest. Although I was connected to the DXCluster, I really used the cluster windows as an indication of what I’d already worked. As I tuned through the band, if I came across someone who was highlighted in red, it meant I’d worked them before and didn’t need to type their callsign in to check. This window shows the breakdown of each bands – The band I was most interested in was 15m where I made 264 QSOs, worked 65 DXCC entities and 19 CQ zones with one duplicate. 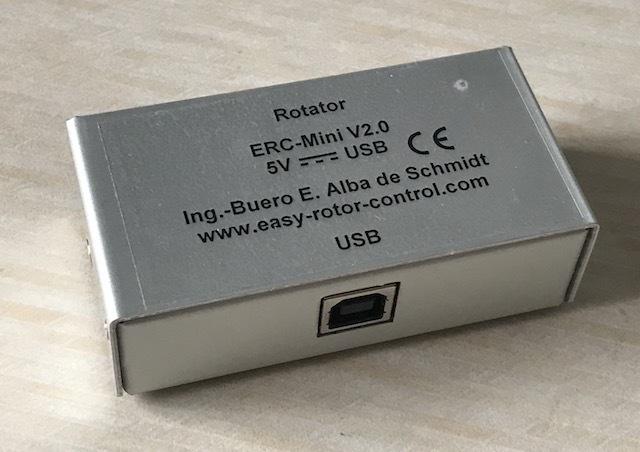 One of the great things about SkookumLogger is the ability to automatically control a rotator. A week ago I bought a rotator interface to use with my Yaesu G-1000DXC and I was amazed at how useful it was and how well it worked. I do appreciate that HF beams generally have a wide beamwidth but it made a real difference to always have the aerial pointing in the right direction. As I entered callsigns into the log, the aerial would turn automatically. If I wanted to stop it spinning, there’s a simple keystroke that aborts the movement. Although I like working the big contests, I do find it frustrating that many of the big stations can clearly transmit a lot further than they can receive. I missed quite a lot of multipliers due to them simply not hearing me. I found myself replying to continual CQ calls a few times and just not being heard. I could understand not being able to break pileups (and that happened a lot) but not being heard by someone who is showing 40dB over S9 and has no other callers is really frustrating. 15m did open nicely to the USA and South America in the afternoon but only for a few hours, closing pretty much as the sun vanished. Compare this to what I’ve done in previous contests and there are many distant countries missing – Japan, China and Australia, to name just three. Also noticeable by their absence from my log are quite a few European countries that I’d expect to work. 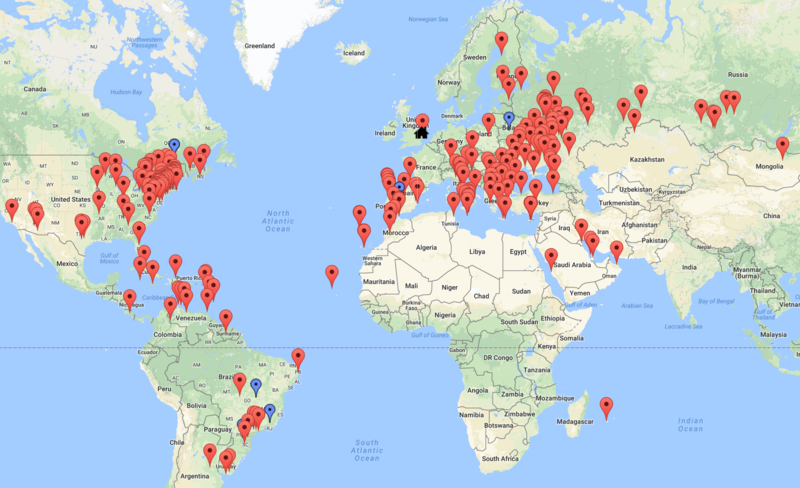 Finally, here’s a map of stations worked on 15m during the contest. This entry was posted in Amateur radio, Contesting, HF and tagged cqww ssb contest. Bookmark the permalink.